Florence was the city that witnessed the great revival of learning and culture in 14th to 16th centuries. The city was epicenter of the great surge in artistic, literary, and scientific explorations. The precious Gem of the Italian Renaissance, Florence is often considered as the birthplace of the Italian Renaissance. The city was ruled by Medici family during Renaissance age, which brought up the great artists and intellectuals like Boccaccio, Botticelli, Dante, Donatello, Filippo Brunelleschi, Galileo, Leonardo da Vinci, Raphael, Michelangelo, Niccolò Machiavelli etc. flourished in the city. It's a saying that "of the 1,000 most important European artists of the second millennium, 350 lived or worked in Florence." Modern city of Florence is highly esteemed due to the great works of its great men. Florence is among the greatest cities of Europe famous for art, learning, and culture. It's a great cultural hub of Italy. Famous for its art and architecture, the city of Florence is a perfect pleasing place for aesthetic cognoscenti. Florence is home to the finest Museums and Galleries that exhibit the great works of great artists. 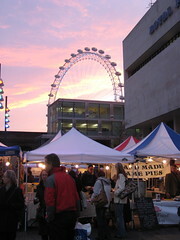 The great Museums and Galleries of the cities are listed below. If it is an Italian wedding that you want, then be sure to explore a Tuscany wedding as one of your options. By far the most intriguing and breathtakingly beautiful part of Italy, Tuscany has the perfect balance of history and present day. Evidence of this is seen in the art of the town and landscapes that are evocative. To make your Tuscany wedding charming and a dream come true, there are a variety of wedding venues available to suit every palette and enough and more wedding planner to ensure that your day is just perfect! 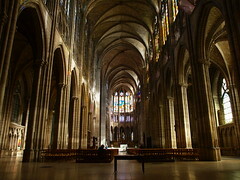 Paris, in my opinion, the most beautiful and exciting city in the world, like most great cities, is a walker's paradise. It is a city of neighborhoods, each one unique. I am going to take you on eight walks that I took in late 2010. You can take these walks any time of year (mine were in the winter), and no walk took longer than two hours, excluding dining time. So you can take these eight walks in three or four days, if that is all the time you have. Six of them are outside of the principal tourist areas of Paris, so you will mingle with real Parisians at work and play. Each walk is easily accessible from anywhere in Paris by the Metro (the Paris subway). All you need is a Metro ticket and a city map to follow along. I have named the walks after the neighborhoods. Initially named as Florentia, Julius Caesar originally established Florence in 59 BC as a settlement for his veteran soldiers. It was therefore, built in the style of an army camp. Presently, it is the capital city on the banks of River Arno in the region of Tuscany, North Italy. Florence is one of Tuscany's most populous cities with around 3,67,000 inhabitants. 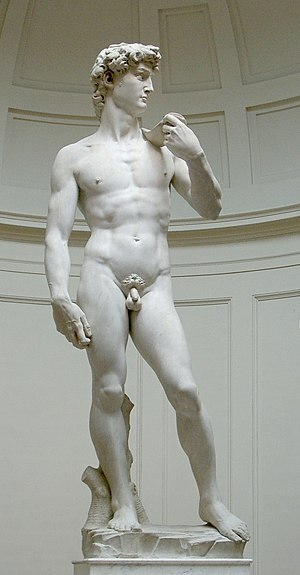 The Golden Age of Florentine Art began in around 1000 AD. Most aptly known as the 'Athens of the Middle Age,' the city is famous for its art and architecture from the Middle Ages (5th-16th centuries) and the European Renaissance (1300-1600). In fact, it was considered the origin point of the Italian Renaissance (1490's-1600). Ruled by the powerful Italian Medici Family and being the capital of Italy from 1865-70, it was also one of the biggest centers of business and trade in Italy. In 1982, UNESCO declared the Historic Centre of Florence as a World Heritage Site. 1. Basilica di San Marco (often referred to as St. Mark's Cathedral) - With architecture that blends the styles of East and West, it is one of the greatest buildings in Europe. The carvings, mosaics, bronzes and art are a feast for the eyes. Because there is so much to see, it is best to take a guided tour of the Basilica to make sure you see the most important features. The good season is getting closer. Time for sun, cold drinks, light clothes and, of course, gelati! Any tourist wondering through the Florentine beauties will soon discover that the Tuscan summer can be hot, really hot. This is how he will probably start looking -pretty desperately- for something refreshing, and this is how he'll reach the closest gelateria. If he is staying in an apartment, he will buy the biggest gelato cup available and will run to chuck it straight into the freezer. You wouldn't want to run out of gelato on a hot, Florentine summer night, would you? Many Parisians (especially among the older generations) abstain from buying fresh produce, cheese, meat and fish from their corner supermarket, and for good reason: traditional Paris food markets count in the dozens, with several open one or more days a week in every neighborhood. Market products are often fresher, more flavorful, and less expensive than supermarket counterparts. It can also be a lot more environmentally friendly since the fresh fruit and produce in particular tends to come from local farms. Art and history enthusiasts are sure to enjoy any Italy travel itinerary. The Italian countryside is bursting with picturesque landscape, magnificent artworks and architectural structures, not to mention lots of stories to be heard and flavorful foods to be tasted. As such, it is advisable that you carefully plan your Italy travel package in order to maximize your stay in this beautiful country. One of the great pleasures of visiting other countries is experiencing the local cuisine and Italy, the land of pizza and pasta, is naturally no exception. Italian cooking is quite regional, with the local specialities a treat to find out, and so it is with Turin, which as well as having some excellent restaurants is much more affordable than many places, such as Rome, Paris or London. 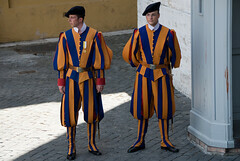 Rarely tradition and modernity come together so well as in the Papal Swiss Guard. Our mandate is in fact traditional protect the Pope from 1506 and his residence, and for that matter, nothing has changed. The changes concern the methods of performance of the service and people, the guards are called upon to perform it and, with them, the environment in which they move. Wearing the traditional uniform Renaissance a Swiss young, modern and well educated. With the mercenary of the sixteenth century shared the firm conviction that the Church of Jesus Christ and the Successor of Peter deserve, indeed require, that there are commitments "should be required to offer their lives." They are also bound by a certain taste for adventure: an international environment, the camaraderie, the learning of the trade to ensure security, the intensification of their faith, a new language, the "beautiful Italy" in ... This climate is not only sweet ripe fruit, but also faith, conviction, skills, friendship and the joy of living. This opulent city situated on the River Arno is the capital of the province of Florence and the Italian territory of Tuscany. Florence (Firenze in Italian) is significantly known as the "Jewel of the Renaissance", it was the centre of European finance and trade during the medieval time. The historic centre of Florence is one of the most popular destination in Italy for good reason, and was declared by UNESCO as a World Heritage Site in 1982. With a Eurail pass you can experience the diverse culture of Florence. You'll drown in the city's abundance of food, music, art, science, philosophy, fashion and religion. Paris is a world centre for gastronomy and you'll be spoilt for choice in good restaurants around the city. Obviously, in a city of Paris's size cuisine from all over the world is on offer but French food dominates menus throughout the city. Traditional French fare revolves around fine fresh ingredients served up in delicate sauces - the greatest element in French cuisine. The areas in the centre with the best choices include the streets north of the Louvre, especially around the Palais Royal and the Rue St-Honore, and the Marais. On the Rive Gauche, St-Germain-des-Pres has the most chic selection while the Latin Quarter boasts a good range. Bute aux Cailles (13e) has a predominance of food from the Southwest of France, while Rue de la Gaiete (14e) and Mouffetard (5e) are both good areas for traditional cuisine. A Visit to Tivoli Gardens! Give a visit to the Tivoli gardens in Rome for a visual treat! The twin villas, Villa d'Este and Hadrian's Villa housing beautiful fountains and artistic remains offer a heavenly feeling. 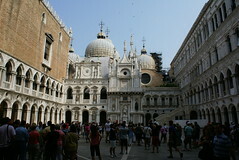 Plan your trip to Italy with PerilloTours.com to have a memorable touring experience. Italy is one exotic place, which is recognized for its explicit beauty, historic values, unmatched gastronomy, and much more! No wonder this place attracts hordes of tourists from all over the world. If you tour to Italy this summer, then spare a day especially to visit the master-piece Italian gardens near Rome - the Tivoli Gardens. Paris was founded towards the end of the 3rd century BC on what is now the île de la Cite by a tribe of Celtic Gauls known as the Parisii. Centuries of conflict between the Gauls and Romans ended in 52 BC, when Julius Caesar's legions took control of the territory and the settlement became a Roman town. Christianity was introduced in the 2nd century AD, and the Roman party was finally crashed in the 5th century by the arrival of the Franks. In 508 AD, Frankish king Clovis I united Gaul as a kingdom and made Paris his capital, naming it after the original Parisii tribe. No matter how many times I've seen the first glimpse of the Cathedral of thin arrows, luminescent marble always inspires a silent scream of fear. The cathedral is the epitome ofMilan: a product of centuries of partisan politics, robbery, bribery, fashion and commercial ambition. 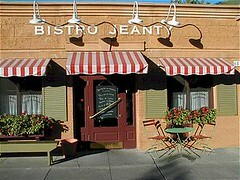 And despite its mix of architectural stylesflorida, it works somehow. Access to the Baptistery 4 th century through the stairs next to the Cathedral through the main entrance. Back-to-basics beauty of the paleo-Christian baptismal font and the ruins of earlier cathedrals are impressive sight, and touch the other the abundance of the above. On January 22, 1506 is the official birthday of the Pontifical Swiss Guard, because on this day, at twilight, a group of one hundred and fifty Swiss, commanded by Captain Kaspar von Silenen, the canton of Uri, entered through Porta del Popolo to first time in the Vatican, where they were blessed by Pope Julius II. The prelate John Burchard of Strasbourg, the papal master of ceremonies and lead author of a famous chronicle of his time, noted the event in his diary. Indeed, even before, Sixtus IV had concluded an alliance with the Confederates 14 79, by means of a treaty which provided the opportunity to recruit mercenaries. He built housing for them near the church of S. Pelle-grin, the present Via del Pellegrino. Innocent VIII (1484-1492) under the old treaty renewed, wanted to use them against the Duke of Milan. Even Alexander VI will use the Confederate soldiers during the alliance of the Borgias with the King of France. At the time of the powerful Borgia family originated in Italy the great wars that saw the Swiss in the foreground, sometimes allies of France and sometimes supporters of the Holy See or the Holy Roman Empire of the Germanic nation. The home of Paul Cezanne, walking around Aix En Provence it's easy to see why the artist spent so much time here. With the countryside, views of Sainte-Victoire Mountain and the stunning architecture there are numerous factors that can make anyone feel inspired. People heading to the city will need at least a couple of nights at one of the hotels in Aix En Provence in order to see the main sites and reach into all the area has to offer. The following guide helps to highlight the major attractions for people with different tastes whether it's culture, art, architecture, history or shopping. The world-famous French Mediterranean port and resort of Cannes is a hub for the ultra-wealthy, especially every May when the Cannes Film Festival kicks off. International movie stars, the beautiful people, sports celebrities and high society from across the planet arrive for the event, pursued by even larger numbers of paparazzi and TV cameras. Million dollar yachts cram the marina and those who arrive by air are more likely to use a private jet than EasyJet. Cannes is a place where money is the most important attribute, backed up by entrepreneurs marketing the best of everything from fashion to food. Wine Tasting at Chianti Hills – An Experience to Remember! When it comes to exotic wines, nothing can even come close to the Tuscan wine! Wouldn't it be exciting if you get a chance to visit the Chianti Hills in Tuscany and actually be a part of the wonderful wine making process itself? Your mouth will start watering even as you think about it. Stop dreaming and start planning a Tuscan wine tour just for the love of wine! Chianti Hills is undoubtedly the best and the most popular wine region in Italy. It's no wonder that Chianti is synonymous with excellent wine all around the world'. The enthralling hills of Chianti stand gigantically amidst Italy's art cities such as Tuscany, Florence, Siena, and Arezzo. Rome is a paradise for shoppers. So, if you're a shopping freak, then you'll be spoilt for choices in Rome. From clothes, fashion accessories and jewelry, to books, chocolates and household goods, you can get everything in this ancient Italian city. With PerilloTours.com, you will be able to make the most of Rome! Rome is a wonderful tourist destination for families! While the historic tourist attractions in Rome interest men; the adventurous catacombs and museums get the little ones keyed up. And for women, Rome is the seventh heaven! With a myriad of choices to shop for everything right from chocolates to fashion accessories, shopaholic women will find it hard to wind up their shopping. If you're planning to visit Italy, then shopping in Rome should be on top of your to-do list! 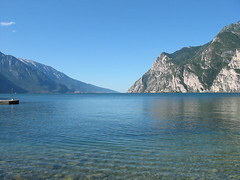 Lake Garda - A Paradise for Adventurists! Lake Garda in Italy is certainly a place to visit for those tourists, who seek the thrill of adventure. This exciting destination has a lot more to offer besides the lake. Adventure sports, such as windsurfing, diving, sailing, paragliding, horseback riding, and mountain biking keep this place active in all seasons. Book your tour to Lake Garda with PerilloTours.com, to get the best of your holiday in Italy. A holiday spent in Italy at Lake Garda will be so exciting and invigorating that you will never feel like returning home. Celebrated as the largest lake of Italy, Garda also prides itself as the loveliest of all Italian lakes. The panoramic view of the lake, sweet smell of vineyards, striking silhouette of valleys, picturesque views of castles, and the remarkable backdrop of Mount Baldo are definitely a visual treat!